The Holistic Bio Spa is happy to hand over the stage to our dear friend and patient Jaqui Karr to share with us the detox guide she recommends at the Holistic Bio Spa. We are all ears Jaqui! First of all, why detox? Is it a Hollywood fad or do we need it? 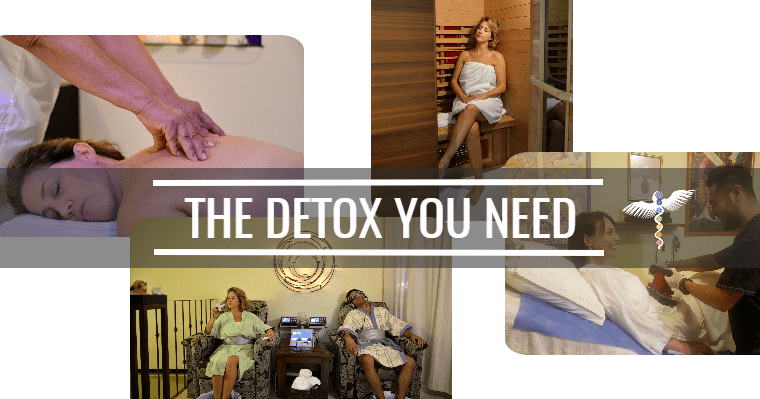 I’ll give you over 75,000 reasons you need to detox (that’s how many chemicals have been unleashed onto our generation, with over 2,000 new Frankenstein creations hitting the consumer market every year). Note I said “consumer market.” That means I’m not even talking about industrial chemicals. I’m talking about just the toxic stuff that you and I come in to contact with doing normal everyday things (like breathing). I’m all organic, plant-strong, 95% raw food (often 100% for weeks and months and years at a time, then I have hot tomato soup or something). Zero processed foods (I dare you to find a box in my kitchen). I haven’t eaten fish in 15+ years to avoid the metals. Had my metal dental fillings carefully removed years ago. I watch all toxins I come into contact with from lipstick to shampoo to laundry detergent. Even my toothpaste is free of toxins. I’d say I live pretty healthy (my friends say it’s a little more than “pretty healthy”, more like “OMG-you-live-and-eat-so-pure!”). And yet every time I detox, stuff comes out. Forget me, I think of a documentary I was watching (”What in the World Are They Spraying”). They showed a family in Hawaii. Vegan, all organic, live off the grid in an all natural environment (next best thing to a mountain top in Tibet). Their little girl was born into that amazing healthy lifestyle. Yet when they tested her blood at 2 years old, they found dozens of chemicals. Why? Because it’s in the air you breathe. Totally unavoidable, even on a remote island home like that. It’s just amazing what stuff comes out of people when they test or detox. Stuff comes out because it’s all around us. Every so often, you’ve got to clean house. Literally. What happens when you detox? Here’s your easy detox guide – even if you’re just on vacation! Foot Detox. Draws impurities out of your whole system, and all you do is soak your feet. Massage. (Yes, massage – they’re not just for relaxing). Ask for a “lymphatic drainage massage” so they can work all of the toxins stuck in your tissues and get them moving. EWOT with Oxygen. Sounds fancy, it’s really simple. You just pretend you’re a kid and jump on a trampoline a couple of minutes while taking in pure oxygen. Welcome to true breathing. Ozone Therapy. Deep cleanse with zero effort. Colonics. I need a whole article to explain this but in a sentence: it removes all the gunk out of your colon, which will immediately affect all your organs, blood, and help with detox, mood, sleep,…really – I need pages to explain this. All I can say is, it’s one of the best things you can ever do for your body. Ever. Really. Make it a yearly habit. If you happen to be reading this before arriving, you’re in luck. Call ahead and book 3 colonics from the day you arrive and then simply eat ultra-light for 3-4 days before getting to Vallarta. You’ll go home feeling tons better. If you’re already in Vallarta and didn’t prepare, but you’re “blocked” (you know who you are, don’t worry, you’re not alone) then just get in there and “unblock” so you can enjoy the rest of your vacation feeling lighter and more comfortable. What a great way to go home from las vacaciones! Blood Chelation (generally for serious illness, not for everyone). The preparation part of this is to book a consult with Zoli at Holistic Bio Spa to make sure this is right for you. At the Holistic Bio Spa, we are a team of medical professionals experienced in helping people from the United States, Canada, Europe, South America, and Central America to heal on their own terms and well-being from cancer, Lyme disease, depression, fibromyalgia, and other serious ailments. We hope to share some light in your search for proper health care. Got more FAQS about our detox guide? 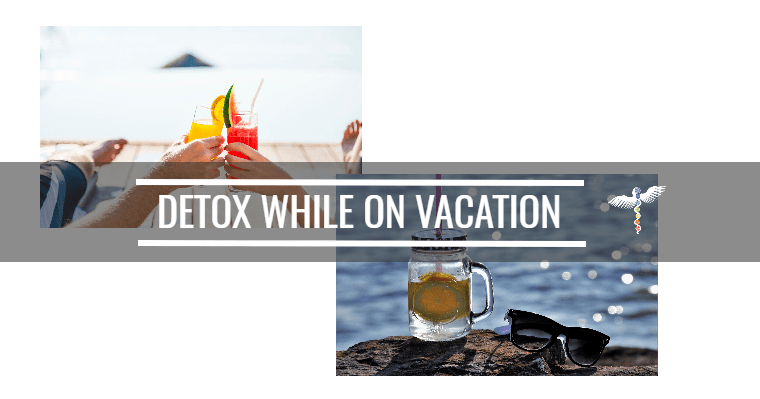 2 Responses to "Your Detox Guide (even if you’re on vacation!)" Please call us at 322 221 1607. There is SOOOOOOO much more than sending info by email.